Are you guys sick of my little knot bracelet yet? I’m knot!! *hysterical laughter* How about those rhinestone coasters, eh? I was waiting at my massage therapist for my appointment and they have some seriously snazzy coasters. The magpie in me forced me to seize the sparkly opportunity. I sigh at how much I can’t resist sparkles. Damned things. And I am knot tired of your bracelet at all. Could be because I’ve just met it, but I’m pretty sure I could like that for a long time. 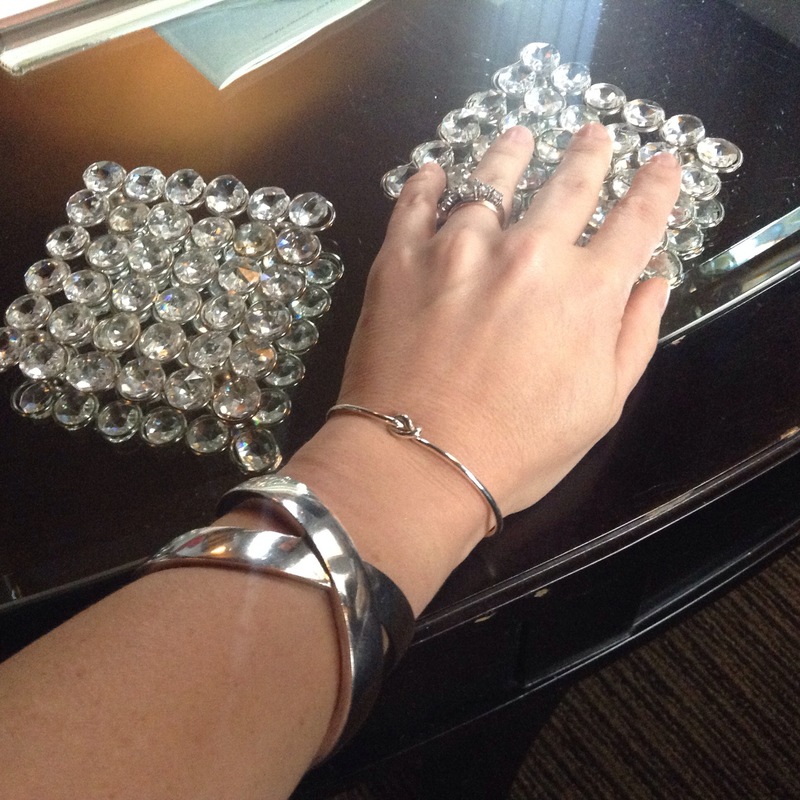 This post is great for several reasons – one because of the bracelets – love them and two because you’re going through IVF – I hope you’re going to blog about your procedure, maybe not all the details, but just a few, for us nerdy medical folk. 🙂 Enjoy your massage!!! Aw thank you. I will. I’m planning to in a ‘not making a huge deal out of it’ way. Just oh well, I went for a walk then my honey gave me some shots and I tossed back 25 vitamins 🙂 It’s gets pretty emotional. But, as my blog illustrates, I deal with my emotions through writing. Fertility is fascinating tho. If I knew when I was 20 how interesting fertility is, I maybe would have considered going down that career path. I’m sure it will go well for you!!!! Stick to the plan the doctors gave you and you’re very likely to be successful 🙂 🙂 It’s a very emotional process, but you sound like you have a good, strong, supportive relationship – you should be just fine!! !